Years of research and coalition building is yielding to tangible actions that will help restore the upper Flint River watershed. The upper Flint River of west-central Georgia is a river running dry. For generations, southeasterners could expect lush landscapes fed by plentiful rainfall. The Flint River has fed both the growth of cities and agriculture in the region, but this increasing demand for water has thinned supplies already stressed by recent drought conditions. In addition to area residents, the upper Flint River supports recreation, fisheries, local economies, and threatened and endangered species that all depend on the reliable flow of healthy water. However, reliable flows are becoming increasingly rare even as millions of gallons of water per day are consistently extracted from the river, and this trend is only expected to increase. Unfortunately, once the water leaves the river, several types of obstacles prevent it from returning, including tens of thousands of acres of impervious surfaces in the Flint’s headwaters that prevent stormwater from soaking into the ground. Instead, stormwater flooding over farmland, roadways and parking lots washes trash, pesticides, and fertilizers into storm drains and back into the river. Drought is also problematic. 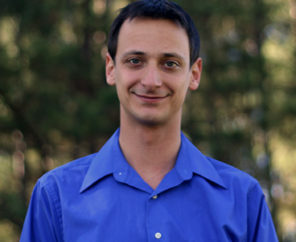 In 2012, American Rivers’ Ben Emanuel started analyzing water flow rates in the upper Flint River and determined that modern flow rates during drought were anemic compared with historical rates. 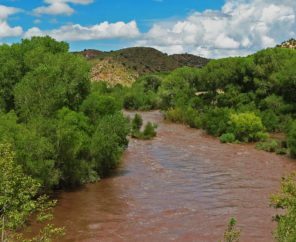 In 2012, American Rivers noted a flow rate of less than 100 cubic feet per second (cfs) at a key U.S. Geological Survey stream gauge. For comparison sake, paddlers like to see a minimum of 600 cfs in the Flint, which has occurred roughly 90 percent of the time during July, from 1940 to 1975. Since 1975, the river has only spent about half of Julys flowing above 600 cfs. In other words, the massive population growth and development in the metro Atlanta area has significantly depleted the river, to the detriment of paddlers and river recreation businesses and enthusiasts. American Rivers described the slow draining of the Flint as “death by a thousand cuts” in Running Dry. Fortunately, American Rivers is not the only organization to recognize this problem, and partners from across the Apalachicola-Chattahoochee-Flint basin are coming together and working toward a solution. One African Proverb says, “If you want to go fast, go alone. If you want to go far, go together.” So American Rivers, in partnership with the Upper Flint River Working Group, has a strategy to address some of these cuts, we’re working to understand others, and there may be more that remain undiscovered. Through our long-standing partnership with the Flint Riverkeeper, the issues faced by the upper Flint have been described in great detail for the first time. 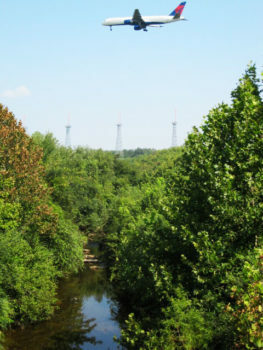 Now, through this partnership, along with Southern Conservation Trust, The Conservation Fund, and Georgia Interfaith Power and Light, we are implementing strategies that will allow us to make progress toward a healthier river. We’ve also developed great relationships with stakeholders that might traditionally be considered adversaries, including Clayton County Water Authority, Fayette County Water System, the City of Griffin, Newnan Utilities, Hartsfield-Jackson Atlanta International Airport, and many others. We’re thrilled to be working across the spectrum of river stakeholders to demonstrate that we live, work, and play in an era of stewardship. Stay tuned for more in this series of blogs, which will discuss the details of what we’re doing, and how you can help!